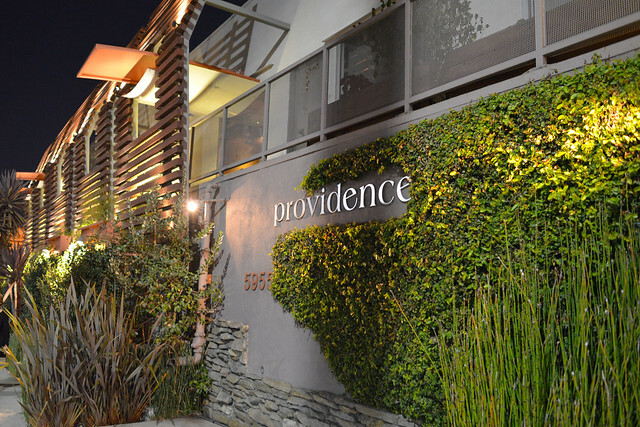 I’ve generally considered Providence one of my favorite restaurants in Los Angeles since it opened in 2005. 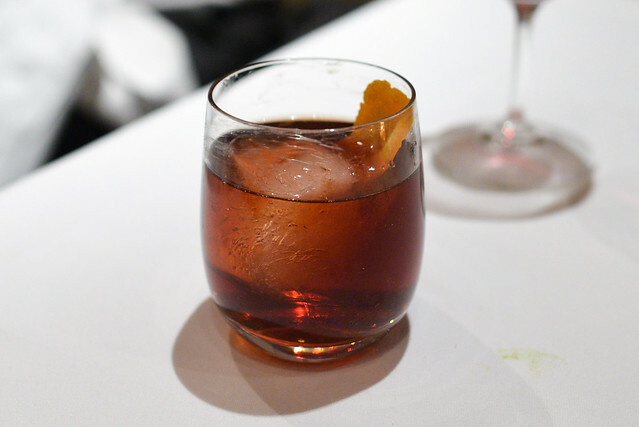 I first had chef Michael Cimarusti’s food at downtown’s Water Grill in college and followed him here. This was my fifth visit overall, but my first in about 3.5 years. I’m not totally sure what took me so long to return, but part of it was the fact that my last two visits didn’t live up to the high expectations created by the first two. 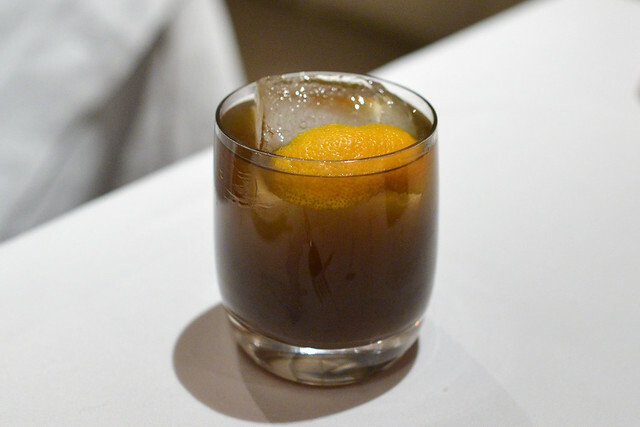 Providence is consistently in the conversation of top special occasion fine dining restaurants in the city, so it’s a place I like to stop in every so often. Cimarusti has been a busy man since my last visit and has presumably spent progressively less time in this kitchen, especially with the opening of Connie & Ted’s last year. A number of menu options are available. 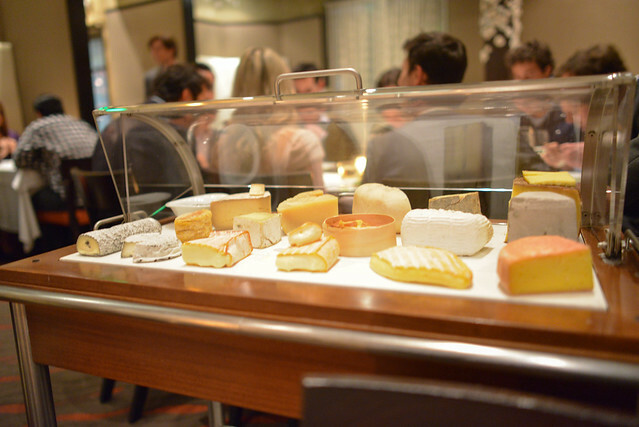 A three course a la carte is $95, while 5-course and 9-course market tasting menus are $105 and $140, respectively. 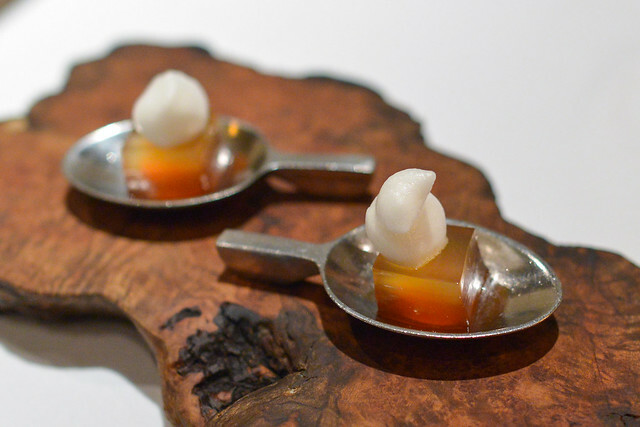 At the highest end, a chef’s tasting menu is available at $195 per person. We stuck to middle ground, ordering the 9 course market menu. 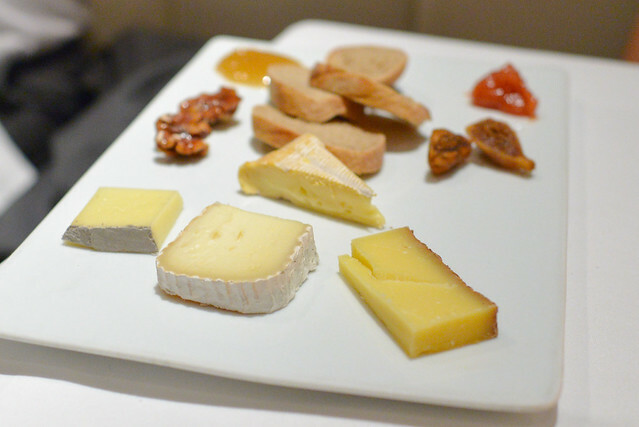 Four amuse-bouches came in quick succession to begin the meal. 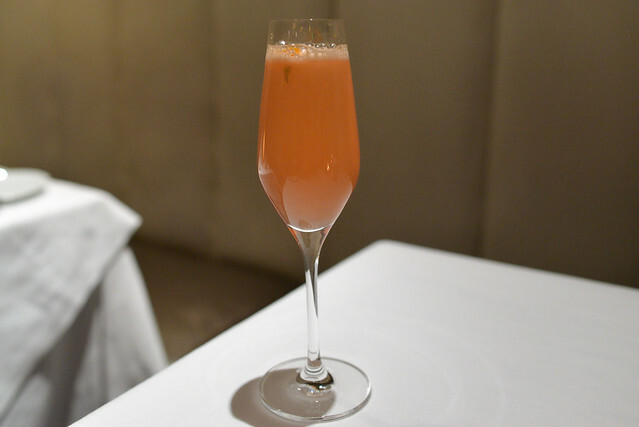 As usual, the meal began with a unique take on a cocktail. This was a fun starter with a strong fresh ginger flavor to wake the tastebuds. 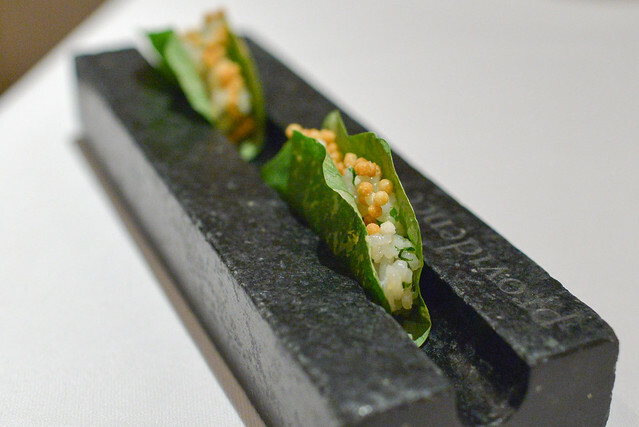 The nasturtium was very aromatic, a vehicle for the sweet scallop and sticky sushi rice. Puffed rice provided the texture in this fun play on taco and sushi. 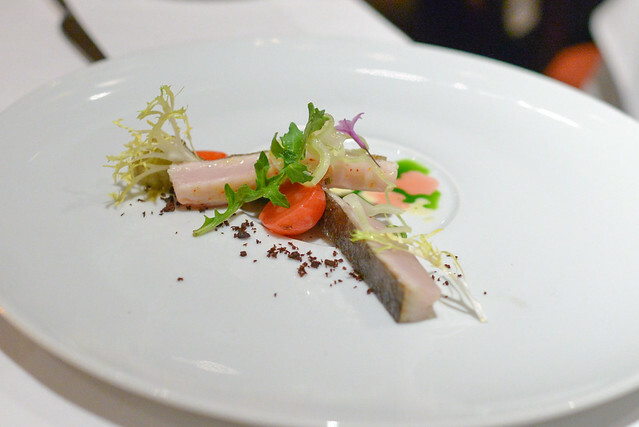 This dish was utterly savory with a lot of umami depth, while buckwheat added an earthy crunch. Loved this dish. Salmon skin was fried up perfectly acting as the ‘chips’ in this course; salmon roe was an ideal way to add a fresh pop. Creative and well-executed. The first proper course of this meal featured tender fluke with acid from the pickled accompaniments. 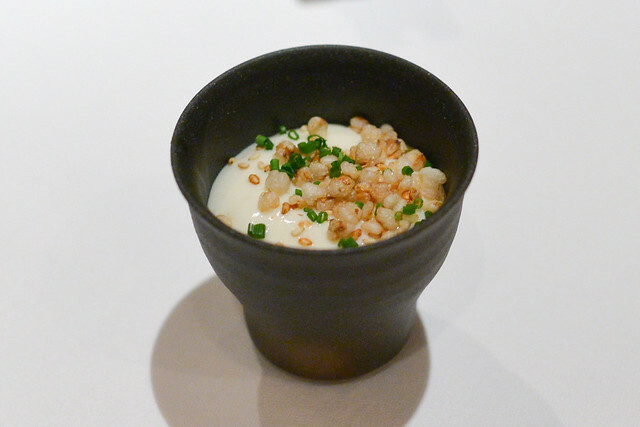 The vegetables provided a delicate crunch, though I found the flavors overall to be relatively muted following the amuse-bouches. The mackerel was a pretty rich and fatty fish cooked a delicate rare. The fattiness of the fish called for acid, though I found almost too much here. 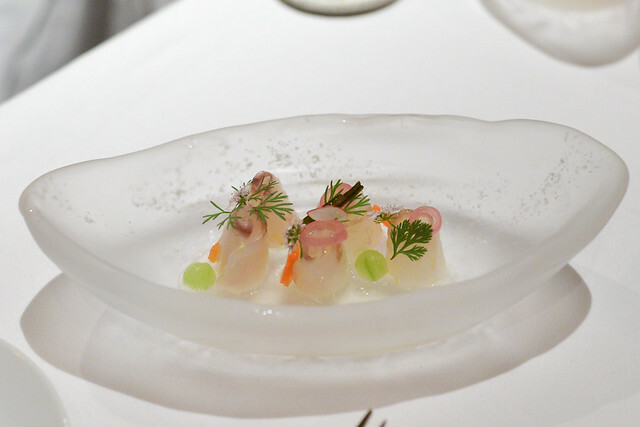 Accompanying flavor profiles were very similar to the fluke dish. 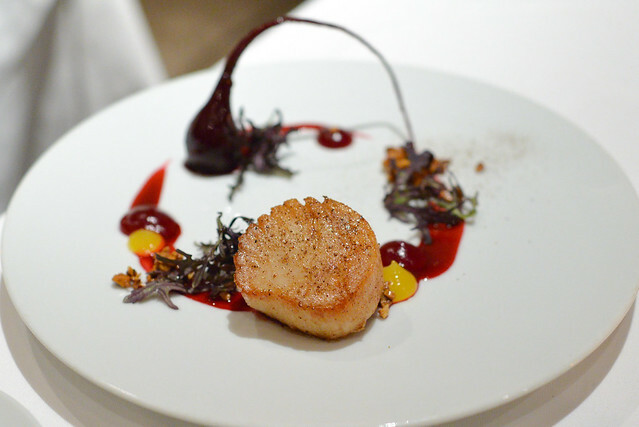 The scallop was cooked well with a nice sear; beet and hazelnut was an interesting flavor combination…though maybe not really my thing. 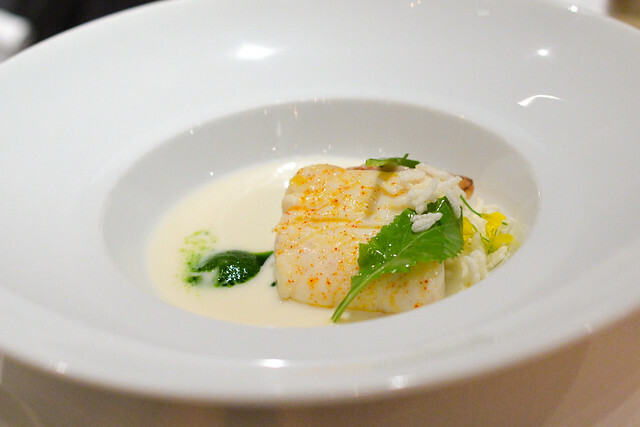 The halibut was moist and cooked beautifully; delicious on its own, the turnip was a nice counterpoint. Unfortunately, a small halibut bone did catch a diner’s throat. 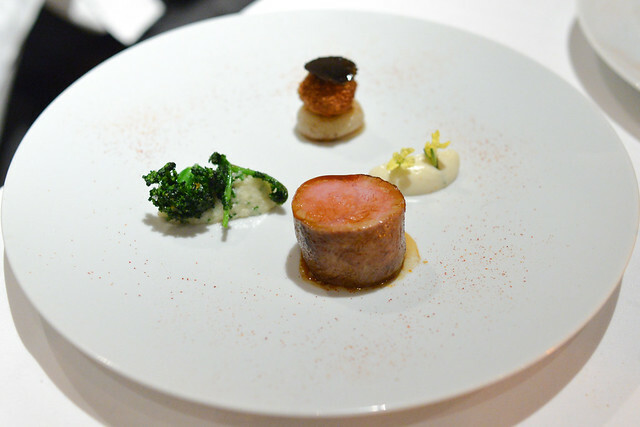 The veal was as tender and delicious as I remembered – it’s been a mainstay on the menu for a long time now. The cauliflower and broccoli duo added a smoke accent and fresh bite, respectively. Instead of the cheese course, I opted for a dessert substitution. 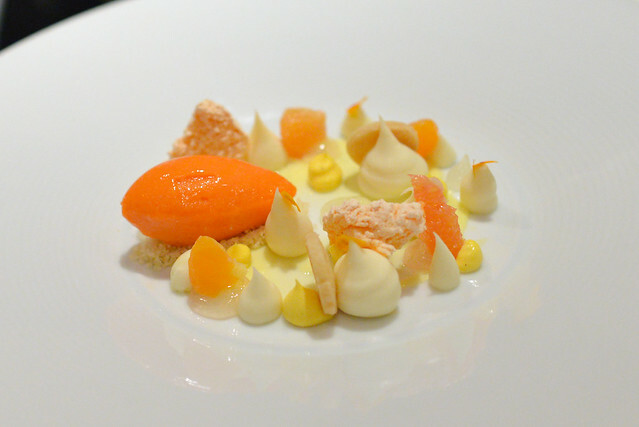 The flavors were as bright and vibrant as the colors, with a sharp acidity balanced by a mellow lemon curd and angel food cake. Tart accents were featured in this dessert countered by the creamy marshmallow. 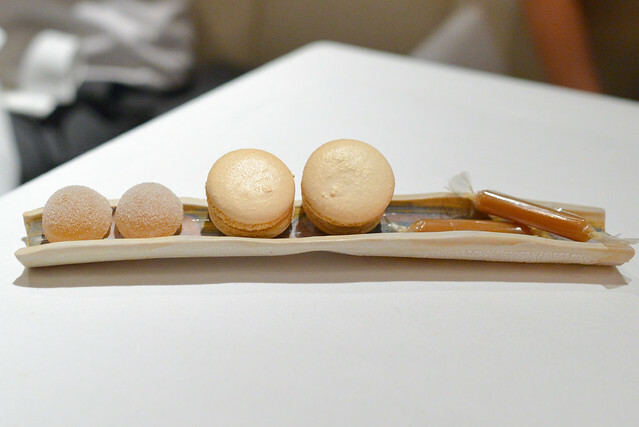 This moreso acted as a palate cleanser into our main dessert. A dense, moist cake was topped with a tasty chantilly cream. 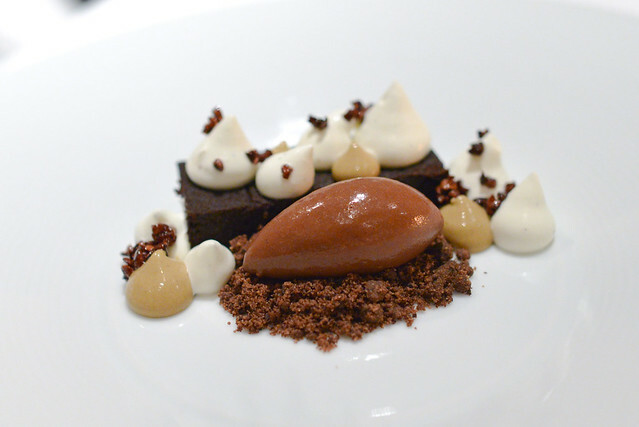 More chocolate flavor came in the form of a sorbet and I really liked the candied nibs for the textural contrast. 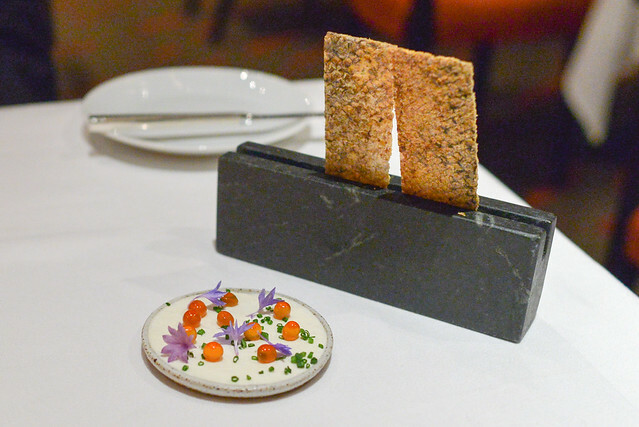 The meal at Providence was generally strong, though fell short of what I would generally expect from a two-star Michelin restaurant (not that LA’s had a guide since 2009). 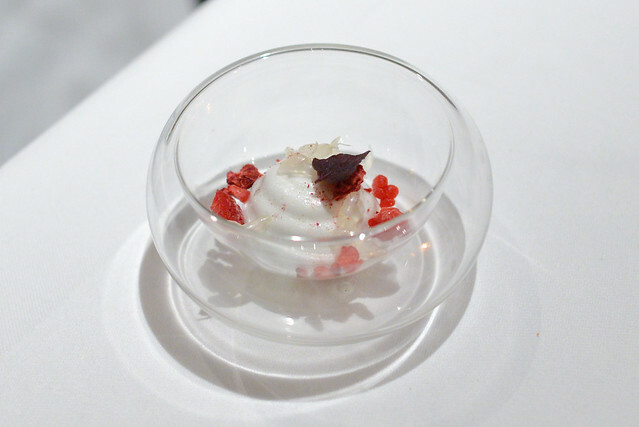 Execution was mostly strong (except for the halibut bone) and the service top-notch, but the tasting menu lacked much of the the creative flair found in the amuse-bouches. Flavor profiles were refined, but not all of them came together as well as I would’ve liked. 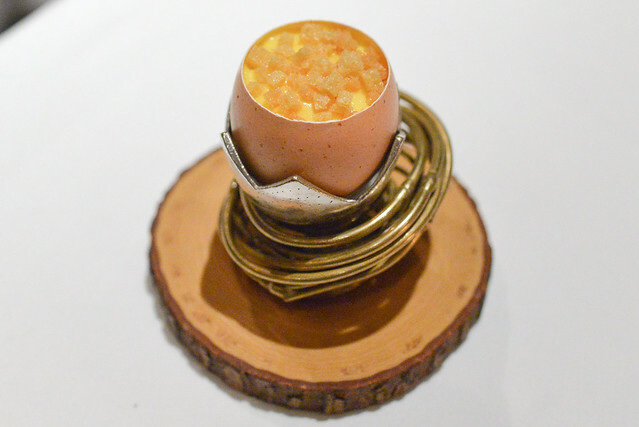 I really do want to get the Chef’s Tasting next time since it’s substantially different from the 5/9 course I’ve gotten in my last three visits. 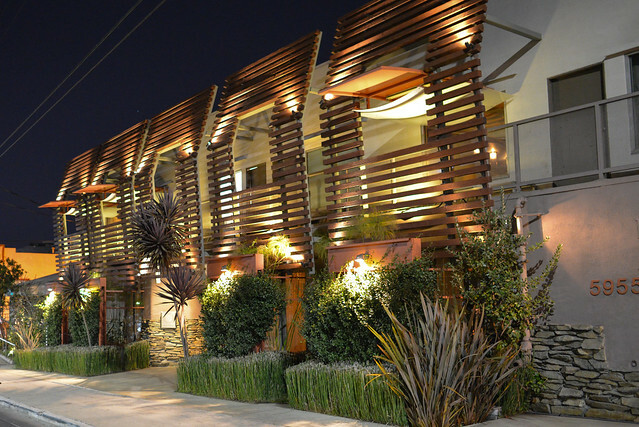 Providence is still one of the better fine dining restaurants in LA in my opinion, but that’s also due to the fact that there’s been less and less competition in the space in the last few years. A big YES to chips & dips! I had the Chef’s tasting recently. It was disappointing for all the reasons you’ve described and we felt it was overpriced to boot. Ah well, that’s definitely disappointing to hear.